So, guess what time it is again almost? Time for the Arcade! Well in roughly two days my favorite event of each season opens up on March 1st. I got inspired by looking at Dustbunny’s set for the Arcade which is this house, shed and various other things in the photo that you can play the Gacha and try your luck for! The little cottage is so cute. 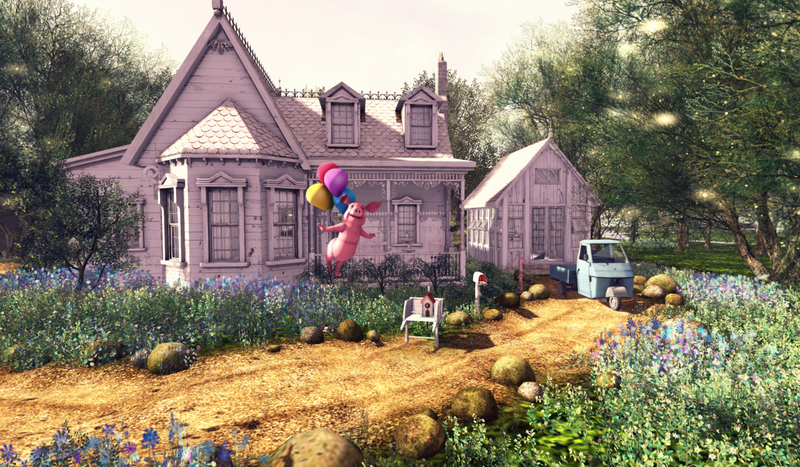 I also put a few of the little garden friends in this photo from Ispachi, the pig with the balloons is from Mutresse, and the little car is from Soy. The trees, flowers and roads while not from Arcade.. you can find them at HPMD. The December Arcade is coming! 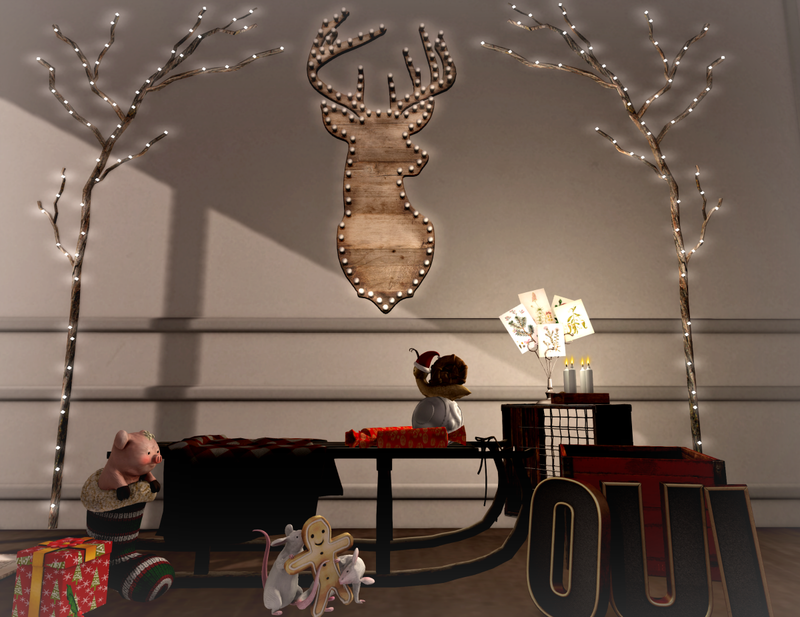 I have a sneak peek of some of the items that are coming to the Arcade and first up is this house and this little tree with ribbons and lights which are the rares from Dust Bunny. 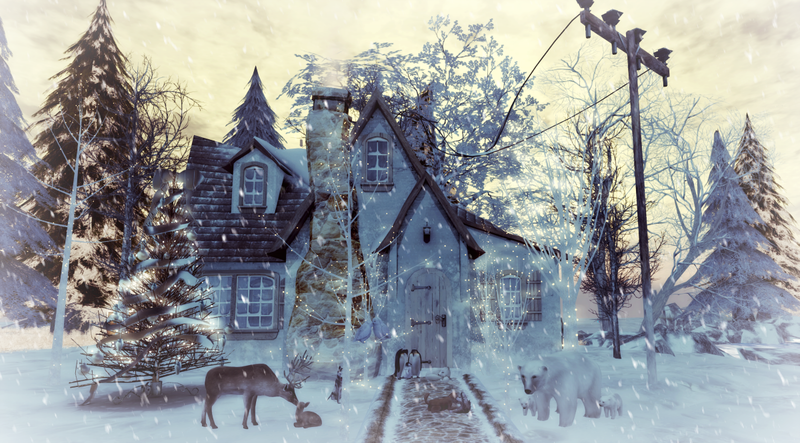 The little house is so cute and there is enough room to make it your own special little holiday place, and it looks stunning in pictures as well! I also have used in this photo these adorable wintry animals from Ispachi. There are owls, penguins, a dog and cat, and many more. I love this gacha set and hopefully you will too! I also used some lit trees and shrugs from Pixel Mode which are at the Liaison Collaborative. So as Arcade is dwindling down to the last few week or so you may want to act fast and pick up some things. It’s super mellow right now and I bet you can get right in too and there is always an Arcade Chat going so even if you don’t get what you want right away you have a chance to trade with someone! 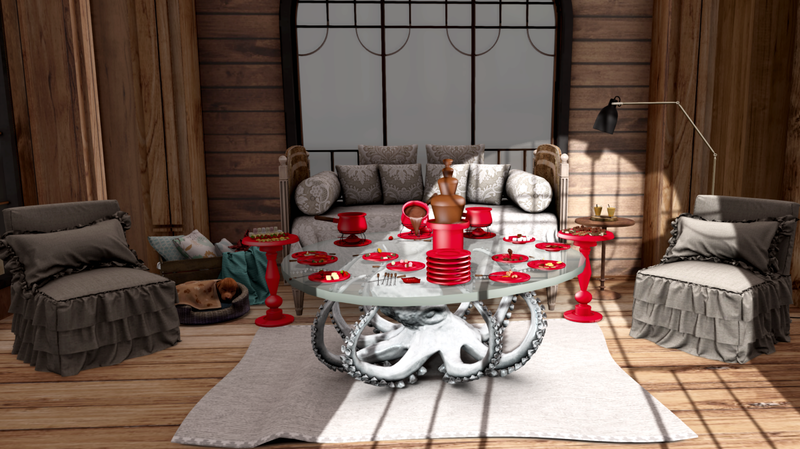 In this post I used the Fondue Party set from Lark, The house and sofa bed from Scarlet Creative, a few odds and ends from Aria’s Gretchen set, the fabulous octopus table from Trompe Loeil, and the puppy from Ispachi. Zen Zarco of Boogers makes some darn cute bears! You can check here: https://www.flickr.com/photos/zenzarco/14830012788/sizes/l to see all the names of these cute bears and you gotta get em while you can because they are only available for the month that the Arcade is open and I’ve also heard that these may very well be the last series of bears! So it’s best to get in there and grab em up while you can! I am also using the furniture set by Ispachi that is also at the Arcade and is super pretty and the Rare Skybox from RageWorks.